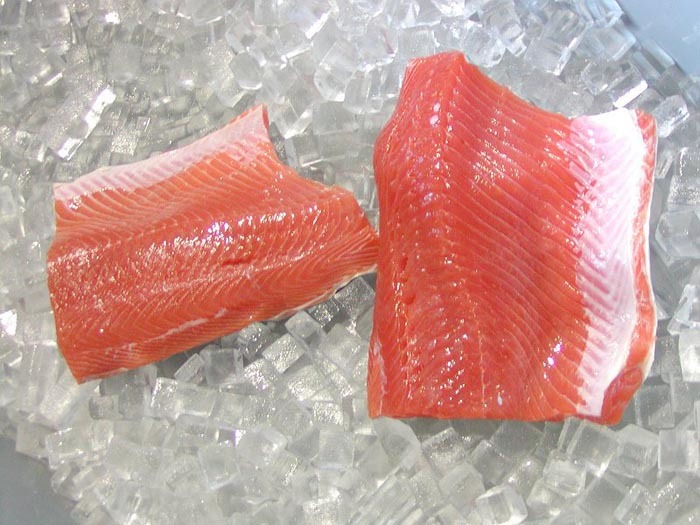 Pink Salmon is one of the most delicious members of the salmon family. 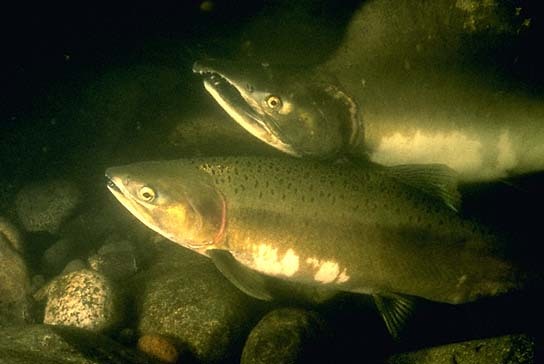 Incidentally, the salmon family also includes trout and char. Canned salmon holds NOTHING compared to those that are caught in the wild and, above all, FRESH! So to add to the quality of your fish eating life, here are a couple of preparations. One fast & easy, the other a bit more "Gordon Ramsay"ish. Mix the eggs, milk, and black pepper in a bowl large enough to accommodate your mixing activity. Melt some butter in a skillet. Use medium heat so you don't "brown" the butter. When the eggs are set, add the pink salmon and cheese on one half of the omelette. If you're good, you can slide that baby right out of the pan and onto the plate while folding the whole thing in half. If not, use a spatula and do it in the pan. Serve when the cheese is melted. Best when served hot and steaming. Mmm Mmm, good! In a glass container, mix the amaretto, soy sauce, lime juice, sesame oil, hoisin sauce, black pepper, ginger and salt. Marinate the salmon in this elixir of flavor for at least one hour. While the fish is marinating, heat the oven to 350 degrees Fahrenheit. Oil up a roasting pan with vegetable oil, or be lazy and use a spray. Into this pan, put the marinated fillets with the skin down. Leave in oven for 10 to 12 minutes. Remove the remainder of the marinade to a saucepan and bring to a rolling boil. Remove the salmon fillets to a medium platter. Pour the hot marinade on top of the fish. Serve immediately and garnish with fresh lemon slices, asparagus spears, or simple parsley sprigs. Both of these recipes are scrumptious and a treat to the discerning palate. So c'mon and eat some Pink Salmon today! I am going home right now and whip some up for the family! Thank you for trying out our Pink Salmon recipes. If you have other Pink Salmon recipes that you would like to share with the world, please contact us with the recipe.